Trey Porter scores two of his game-high 20 points. The sixth-ranked Wolf Pack improved to 23-1, the best start in school history. 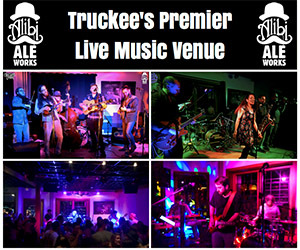 Tahoe Onstage photos by Conrad Buedel. 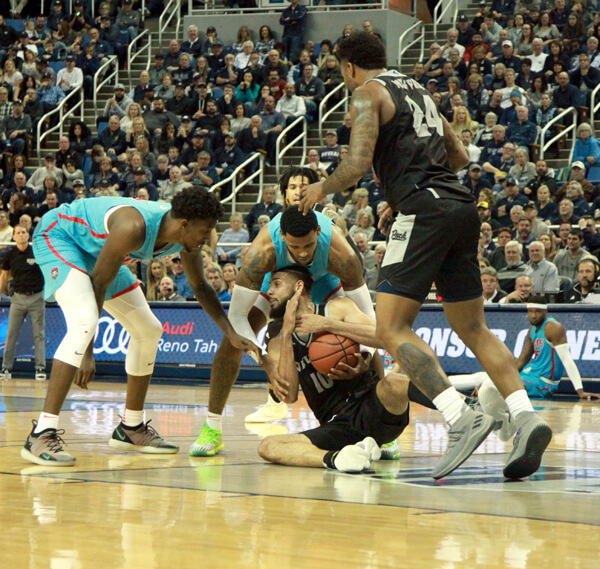 The sixth-ranked Nevada men’s basketball team poured on the points and avenged its only loss this season with a 91-62 drubbing of New Mexico on Saturday at Lawlor Events Center. 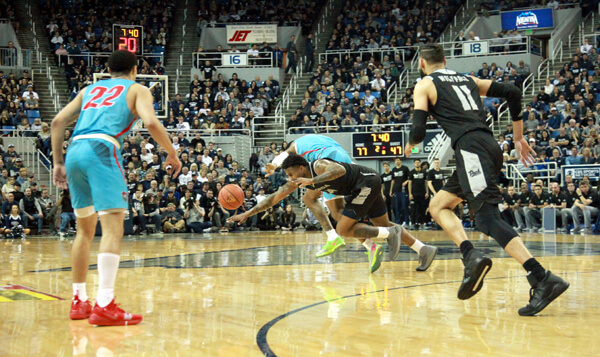 The Pack exploited the Lobos’ defensive game plan from the inside-out and turned the contest into a one-sided affair. 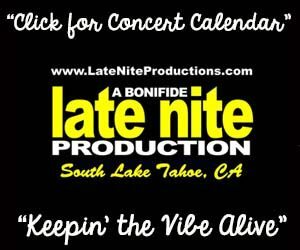 New Mexico’s 1-3-1 zone defense gave Nevada fits when the Lobos beat the Pack 85-58 on Jan. 5 at “The Pit” in Albuquerque. 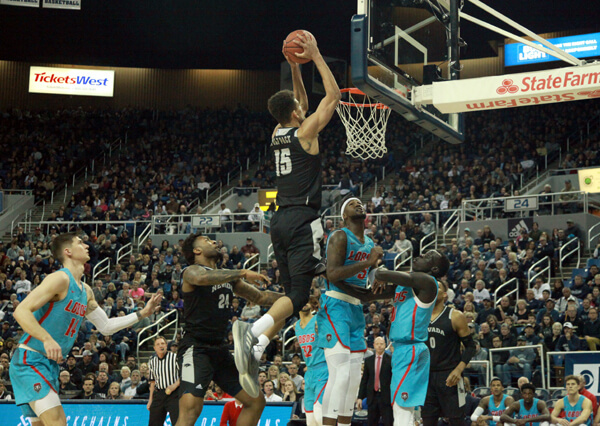 Nevada adjusted to a new style of play with crisp movement off the ball and made the extra pass inside that led to easy scoring opportunities. The Pack recorded 42 points in the paint and its presence down low opened space on the perimeter. 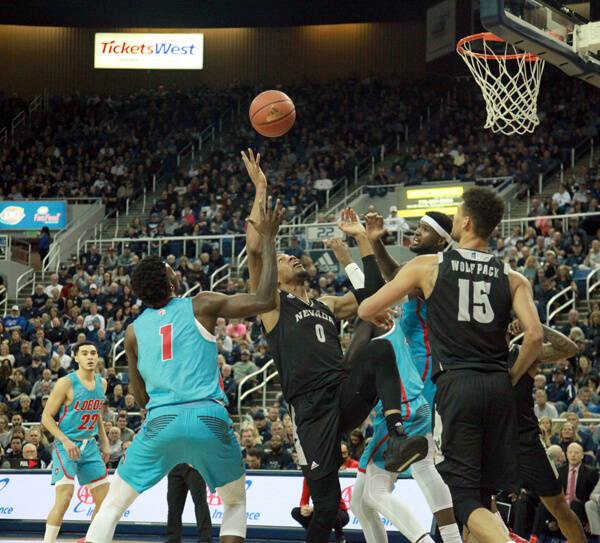 The new scheme against the zone has earned the nickname “touchdown,” coach Eric Musselman said after the game. The Wolf Pack improved to 23-1 and 10-1 in conference play this season, its best start in school history. Nevada is slotted as a fourth seed in the NCAA Tournament Bracket Preview, which was announced Saturday morning. On Saturday afternoon, Trey Porter was the primary beneficiary inside with a game-high 20 points and cleaned up any mess on the boards with several put-back dunks. Porter sensed a different vibe from the team heading into its second matchup against the Lobos. Nevada shot 50 percent from the field and 30 percent from 3-point territory. Five players booked double-figures. Jazz Johnson scored 13 points and eclipsed 1,000 for his career. Like Porter, Caleb Martin had 20 points, adding five rebounds. Jordan Caroline recorded 13 points and 13 rebounds for his 12th double-double of the season. Once again, the Pack fed off the energy of a sellout crowd, with 11,197 fans getting loud. Nevada has been setting attendance records this season and remaining homes games have sold-out heading into tournament season. 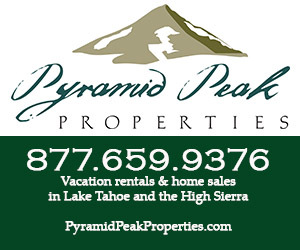 The Pack held New Mexico to 33 percent shooting and forced 20 turnovers, although it had 17 of its own. The Lobos hit just four of its first 27 shots, a big difference from the last outing. In New Mexico’s January win, guard Anthony Mathis hit a career-high 27 points and killed any momentum the Pack had with a dagger from 3-point range. 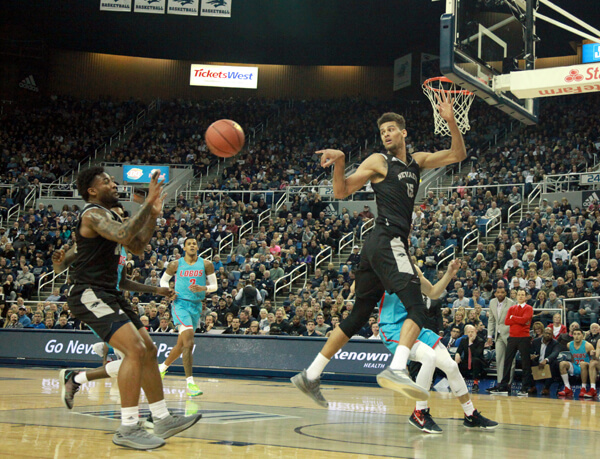 Nevada countered Mathis’ prowess on the perimeter with a combination of Jazz Johnson and Cody Martin. Both players hounded Mathis as soon as he crossed half court, playing him tight off the ball. Mathis finished with only six points on two of eight shooting. Tre’Shawn Thurman, Porter, Caroline and the Martin twins made up the starting five for the fifth-straight game. 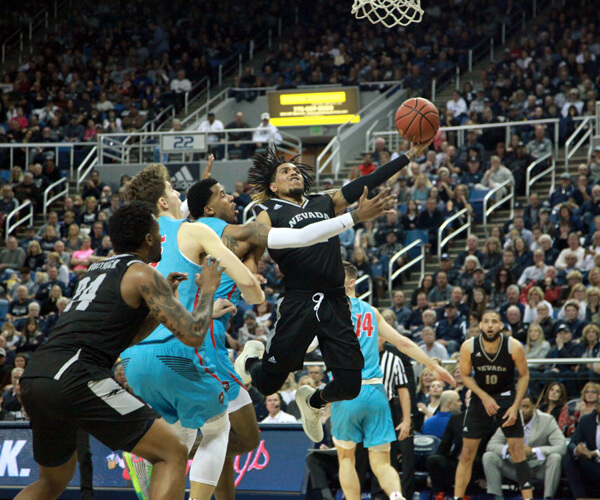 Nevada attacked New Mexico’s zone early with multiple bodies in the paint. Porter crashed the glass and Caroline made the extra pass inside for easy layup opportunities. Caleb Martin nailed back-to-back 3-point shots to jump start a 15-0 run. The Wolf Pack led 25-4 with under 10 minutes remaining in the first half, and carried a 51-26 lead heading into the locker room. Nevada faces the Wyoming Cowboys on Saturday, Feb. 16, at 7 p.m. Pacific Standard Time in Laramie, Wyoming. 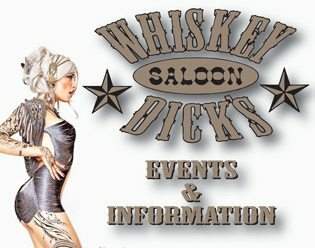 The Cowboys are 6-17 overall and 2-8 in Mountain West play. Notes: Jordan Caroline and Caleb Martin were named to the Wooden Award Late Season Top 20 Watch list this week. … Nevada is 40-2 when Caroline records a double-double. Caroline’s 42 career double-doubles broke the Mountain West record previously held by Andrew Bogut and Kawhi Leonard. … Since losing its only game to New Mexico, the Pack has won its last nine games by an average of 19.9 points. Nevada leads the Mountain West Conference in 3-point field goal attempts (613), assist-to-turnover ratio (1.6) and fewest turnovers (217). Caleb Martin hustles for a loose ball. Martin finished with a game-high 20 points. Jazz Johnson finishes with the left hand. Johnson scored 13 points off the bench. Jordan Caroline lunges for a potential steal. Caroline recorded his 12th double-double this year. Tre’Shawn Thurman added 10 points, six boards and three assists. Nevada’s Trey Porter pass in the paint to Joran Caroline.